You've probably noticed lots of brands have brought out their own fashion activewear. It's January and everyones starting their diets or back to healthy eating after cheating over Christmas. I've never really been that bothered about what I wear to the gym because I go to a really little/quiet gym but after seeing all these gorgeous bits and pieces I think I may have to invest. 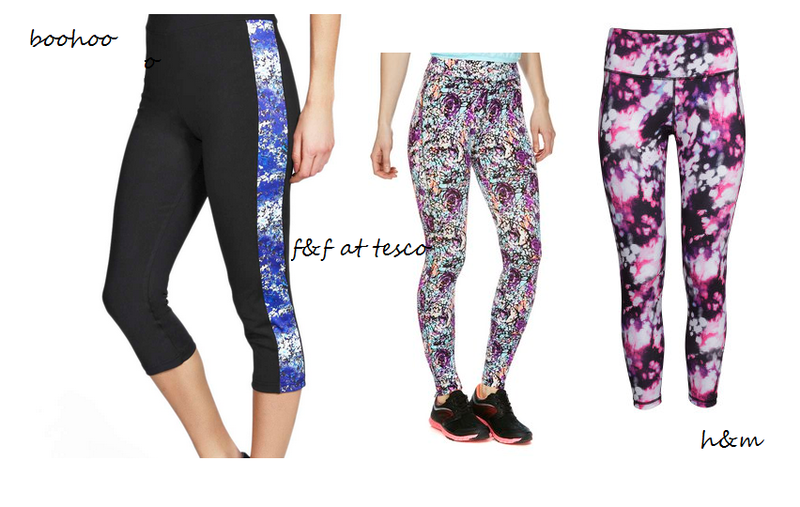 I think a statement legging/bottoms is a great way to brighten up your gym outfits. You can wear different tops and mix and match different tops with your bottoms. I think getting compliments about your clothing at the gym would boost your self esteem and motivation levels. I just wanted to show you a few of my favourite pieces! Have you got any other brands you would recommend for activewear? I heard Primark have their own range coming out and poundland?? So theres really no excuse now. Do you know any fitness blogs or any good food blogs etc?